The restaurant industry is a fickle one, so while we know that eventually some eateries inevitably will need to close their doors, we never wanna see them shut for good. But alas, this is the way of the foodie world. Here is your update on what’s closed recently in Vancouver. Gastown’s tiny Hi-Five grilled cheese window-only restaurant is closed. 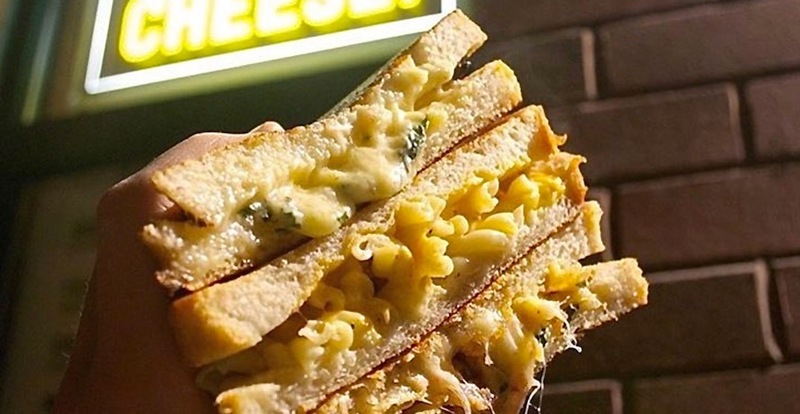 Hi-Five made the revelation this week on Instagram, noting that the grilled cheese spot will serve its last mac and cheese stuffed Yes Ma’am sammy at the end of August. The space isn’t going to turn into an avocado toast or smoothie bowl window, though. It’s going to become “a not for profit, independent online radio station, showcasing live broadcasts from dj’s, musicians and provocateurs, Vancouver based and beyond.” Called NFR for “No Fun Radio” (live from No Fun City! ), the flip is expected to happen in September. For the past 11 years Dups had been serving up quality authentic Mexican eats for over two decades in total. The eatery, located at 4368 Main Street, was near the main strip of Whistler Village, just a stone’s throw from other Whistler favourites like Peaked Pies, La Cantina, and Purebread. August 31 was the last day of operation for Dups, and from the reaction we are seeing online, it’s clear this spot will be dearly missed. Located at 999 Marine Drive, the this spot opened in 2003 and was known for its heated, sunny patios, its ideal sports-viewing atmosphere, and its classic pub fare such as chicken wings, burgers, and salads. After 14 years of operation, the original grill has closed its doors for good. There is already signage for the location’s next spot up – Smoke & Bones BBQ – which also says the new BBQ joint will be opening soon. If you love this Hurricane Grill, not to worry, you can still head to the Yaletown location at 1137 Marinaside Crescent, which is still in full operation. This spot, located near UBC, was a gathering place for students looking for a cheap slice or a combo deal. Sasamat closed at the beginning of the summer and it was replaced by Rice Burger, which is set to be open soon. Charlie’s Little Italian, a Main Street neighbourhood gem, officially closed its doors Sunday, August 6, after offering its last ever dinner service. 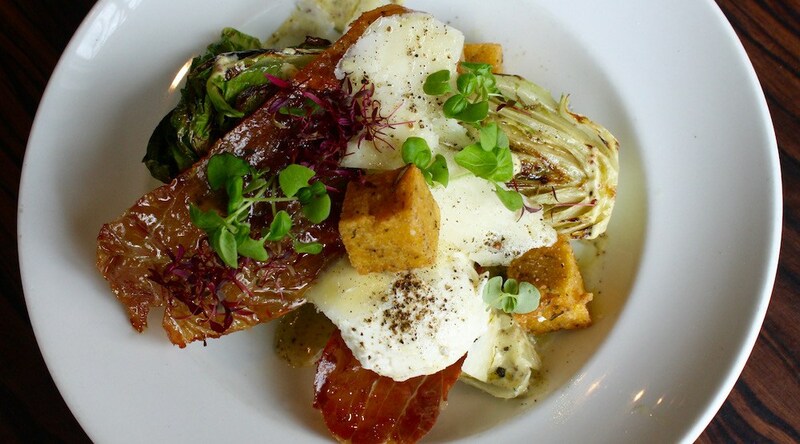 The cozy Italian eatery was known for killing it with their exceptional comfort food and service. Formerly the space of Habit Lounge, Charlie’s has operated at the 2610 Main Street spot since 2013. 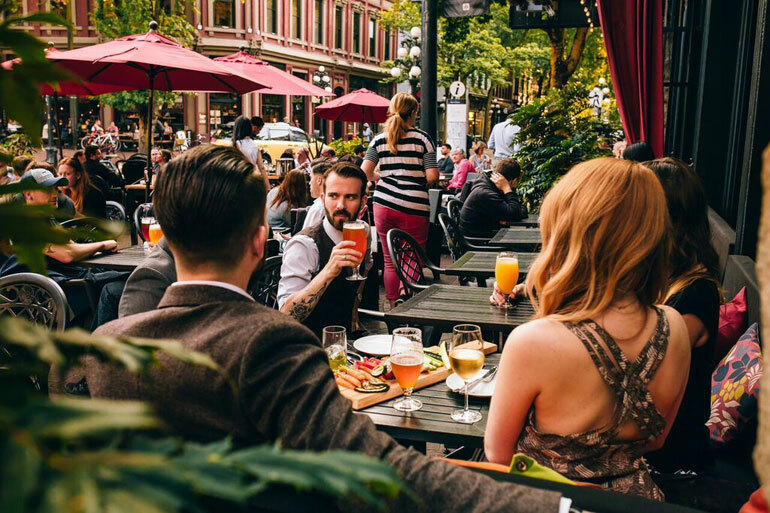 Another Vancouver restaurant chapter is coming to a close, with word that Gastown’s patio king, Chill Winston, will soon shut their doors for good this fall. Known for their farm-fresh menu of food and extensive cocktail program, along with their incredible centrally-located and eye-catching cobblestone patio, Chill Winston has been a favourite hang out of many since they opened at 3 Alexander Street in 2006 – it will cease operations at the end of September. It’s the end of an era in the Vancouver restaurant landscape–literally–with the announcement that Cloud 9, the revolving restaurant atop the Empire Landmark Hotel, will close at the end of September. In fact, it’s the entire property that’s shutting down; the hotel and its Cloud 9 revolving restaurant will cease operations September 29, 2017. The hotel is slated for demolition, and the location will be redeveloped.